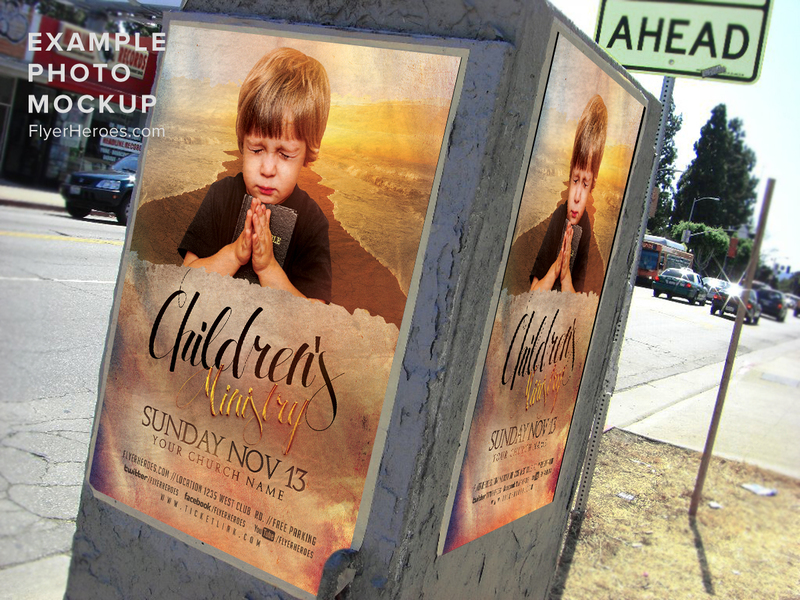 How do you grab the attention of busy worshipers when their lives are crammed with family, work, and continual distractions like smart phones and computers? 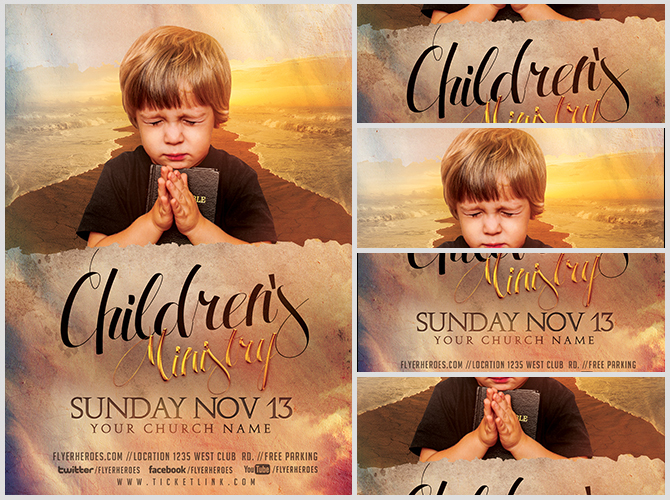 Luckily, attracting followers to your ministry gets easier when you tap into the talent of our creative design staff. 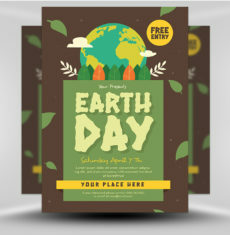 To appeal to worshippers, they’ve created a warm and welcoming church flyer design to quickly and effectively assist in communicating your ministry’s announcements in an especially dignified and respectful manner. 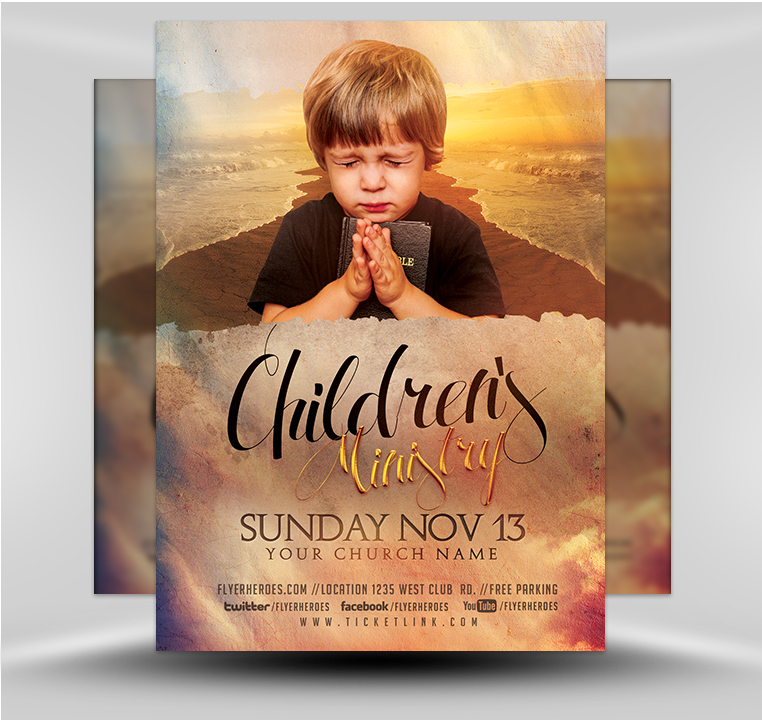 Best yet, this distinctive church flyer design is easily customizable to easily include your ministry’s name and relevant information about services and upcoming worship events. 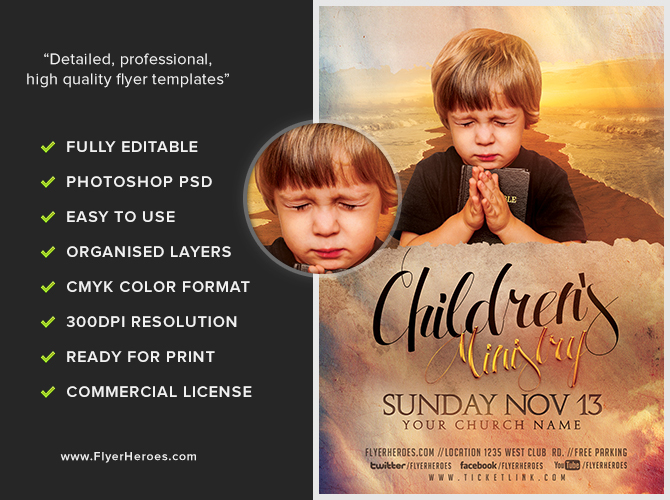 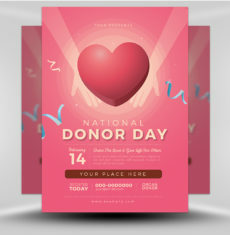 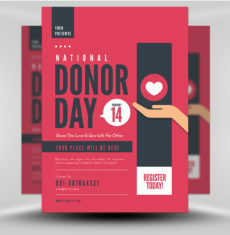 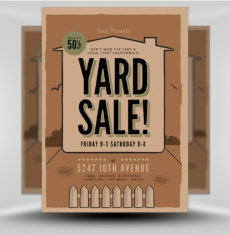 Once you have created your poster using our church flyer template, you can proudly post these distinguished flyers in public forums, feeling confident that their professional quality and tone reflects positively upon your ministry.